To Be and What Not to Be: On Having Lupus. A few weeks back I posted an angry little rant about the wonder and horrors of Prednisone, a corticosteroid drug, scornfully dubbing it “better-than-dead-Pred (BTDP).” While I still believe that it’s better to be alive upon this mortal coil than not to be, I must concede that I underestimated the bitter sting of the many slings and arrows I so glibly described as BTDP’s “side-effects” such a short time ago. No, I am not comparing myself to the likes of Hamlet, nor am I over-dramatically contemplating the last big sleep (although I can always use a good catnap). But like Hamlet, I do feel deeply betrayed. And I can’t shift blame to my uncle, or my mother or any of the many players who have crossed the earthly stage that is my very own, crazy life. Alas, poor Yorick and fellow court jesters, it is merely my own flesh and blood that betrays me! Mine own body, acting the gracious host to lupus and her evil, auto-immune sidekick, ITP, as well as a couple of other unpleasant, anagramatic-rheumatic conditions. I must confess, that I often feel somewhat like a character in a convoluted tragedy, with ghosts of my own haunting and taunting me to do something, anything, to prove and to protect the battered and scarred remains of my sanity, along with some tiny-but-still-shiny shred of my swiftly dwindling self-esteem. My body is in the middle of enacting a dramatic scenery change, and I realize now that I am fighting a losing battle against myself. My self. I may win a few battles with the tools and armor I’ve picked up along my disfunctional journey through life, but I will ultimately lose the war unless I can change the way I think about my self. Two words. My. Self. It is not just against a disease of the flesh or blood, or the cruel and disfiguring side-effects of the BTDP treatment I that I am battling. It is my own self-consciousness, my vanity, my image of self, that is suffering most tragically. I find this rather “karmical,” considering in retrospect that I spent nearly 50 years with an ever-so-slightly-above-average-looking face and body — and I still wasn’t satisfied with the unique gifts and physical graces with which I had been blessed. Oh, how I’ve always loved delicious irony, and now it just tastes sour and cold, and downright nasty. I am my own proof-positive that you really don’t appreciate what you’ve got until it’s gone. Since we’re on the topic of cruel ironies, I feel it worth mentioning that current lupus awareness campaigns heavily emphasize the “invisible” quality of auto-immune diseases because they tend to ravage your body, systemically, from the inside-out. Since I was diagnosed about seven years ago, I’ve been fortunate, for the most part, to publicly maintain this so-called invisibility factor. Something for which I know I should be grateful. Yet every day I see and feel each and every single detail, every change, big and small, in my body and my tender, underdeveloped self-esteem. Meanwhile, my friends and family were barely aware of what I was going through. Mainly, because I just didn’t know how to tell them. At this point, there are some who would say (and have said as much) that I am lucky that I don’t have cancer, or I that haven’t lost a limb or suffered some severe brain trauma, or that I am just feeling sorry for myself. Well of course I feel sorry for myself! There is sorrow, regret, a deep sense of loss when you lose a part of yourself. Any part of yourself. Oh, but yes! I am grateful that I am still alive, still here on this beautiful planet, living in paradise, surrounded by my beautiful family. I don’t want to be a cry-baby, I want to be brave and honest and inspiring! I want to persevere and come out of this experience healthy in body and soul, with some divine revelation bestowing strength of character, inner peace and wisdom to carry me forward through a long and prosperous life. Isn’t that what we all want? That, and of course, to never get sick? The hard truth is that neither strength nor bravery lies in mere perseverance. Inspiration may strike while you appear to be idle, but it seldom leads to any positive action. You have to push yourself to pursue “it.” “It” lies in facing your own fears and disappointments, and in being honest with yourself and others about your feelings, your intentions and most importantly, your actions. The truth is that with a few exceptions, I avoid seeing people who knew the “old me.” I’ve always disliked being photographed, but now I fear and loathe cameras in a crazed Hunter S.Thompson fashion. My fresh cowardice has no face to show for its meaningful defiance against the ravages of a so-called “invisible” illness. What difference would it make if I could bring myself to post online a BTDP, moon-faced selfie? Would it be considered an act of bravery? Or simply self-indulgent folly? If you have no basis for comparison, it would be utterly meaningless. No, I am not seeking the approval of others. No viral video will validate my sense of loss. A woman’s sense of her own beauty must emanate from within, regardless of what she looks like. I must look inward to find confidence and self-acceptance. I must find my own new beautiful. Inside. My beautiful self. If I am being truly honest, I believe it does take bravery to say that I hate how I look right now far more than how I feel, which is really freaking horrible. But I am used to living with pain. I have persevered the hell out of pain, and for many years. I am used to adjusting to new physical limitations. I don’t like it, but I am learning to set realistic expectations for what I can and cannot accomplish on any given day. What I am not willing to accept is being repulsed by and ashamed of my physical appearance. My once-youthful protests of being too “fat” or too anything-less-than-perfect pre-date my lupus by decades. I was shaped and molded into behavior patterns of low self-esteem by my co-dependent, body image-conscious, So-Cal upbringing. I need to shed that bad habit like a dead snake skin. I really hate snakes. For some reason I keep feeling the need to explain my considerably altered appearance, which is simply ludicrous. Why do I feel the need to tell total strangers that I only look like I do because my body has betrayed me, and that I’m taking a demon drug that has turned me into some monstrous Humpty-Dumpty caricature on crack? Why? I have never once looked at another person and thought, “Jeez! That lady must be on some serious Humpty-Dumpty crack to go walking around in public looking like that!” Not even The People of Walmart have inspired in me the same degree of scorn I feel for the “New Me.” Well, maybe one or two of them, but those were mostly based on failed fashion sense and basic public decency, not the person’s physical self. Bottom line, I am ashamed, embarrassed and disappointed that I can’t seem to just rise above my own vanity. I purposely seek out inspirational quotes and messages that suggest I am capable of loving myself just as I am, but in reality, social media platitudes start to wane after a brief click, and they don’t propel me out into the real world feeling any better about my physical appearance. Each day I awake, the reflection in the mirror is more distorted. Although my vision is now ever-fuzzy, which I suppose is a small kindness, I search in vain for some vestige of the face that has gazed back at me for nearly half a century. I do see my mother’s green eyes. More blue-ish now, but still subject to change colors with my mood, which occurs rapidly and with little provocation. Fair warning, given. The familiar almond shape that once captivated more than a few hearts is all but lost among the layers of puffiness that asymmetrically bloat my eyelids. Big, rosy-appled cheeks puff ever upwards to meet the once-striking eye sockets that are now unevenly smudged with purple. On the stump that has replaced my neck sits a flat tire that rests, deflated, just below my jawline — if I still had a jawline. My smile has been compressed, turned sadly downward, diminished daily by the growing flesh that surrounds it. In the mornings my face feels full and soft. But by afternoon I feel the pressure building and stretching my skin taught across an unfamiliar landscape. Any minute I expect to hear my skin go POP! I imagine all my sadness will hiss out audibly as my body deflates. I want to hold my face in my hands, press it back into it’s old, not-completely-unpleasant-shape. I want to physically hold my head up as it grows heavier, wearier, stiffer, weaker, unable to yield a natural range of motion or any fluidity of expression. My muscles and limbs are spastic and stage jerky protests, as if waving indiscriminately at passersby screaming, “Hey! Look at me! I feel awkward and ugly!” Ripples move up and down my flesh without my recollection of having issued any command to my brain and its rogue, muscle-manipulating minions. Ah, but my self. That is another thing altogether, now isn’t it? I AM stronger. I am giving myself more time, more kindness, more permission to say and DO or NOT DO things. I am facing the mirror image of all the offenses that I have been conditioned to hold onto silently, and to hide deep inside. That is where and how ugly truly lies. What attracts and holds the attentions, the loyalties, the compassionate caring of others has absolutely nothing to do with your the size and the shape of your face or your body. Today, I will focus on what I want To Be, and What Not To Be. When I look in the mirror I will allow myself to acknowledge the ravages of BTDP, and then I will focus on what beauty my eyes have seen and what they will see in the future. I will see myself healthy again. I will see the beauty of the place I am blessed to call home. I will see the love of my children and my husband. I will see my mother’s intelligent green eyes. My smile may be strained and spastic, but my mouth will speak of the joy and contentment of filling my days with small adventures and simple pleasures, a good book, a good meal, a good conversation with an old, much-loved friend. My mouth will speak of the trials that have been overcome and the victories that lie yet ahead. I will hold my head and my heart in my hands gently when I need to, and I will confess my weakness and comfort myself with faith and hope and God’s Grace. I will not squander my God given talents, and I will be honest with myself and with others about the difficulties of daily life. But I will give equal measure, no, greater time, effort and emphasis to the conquering of old, useless fears and misconceptions. I will give myself and God praise when and where it is due. I will try my best To Be positive and to love myself unconditionally. I will make a list of what things I aspire To Be, and What Not To Be, and I will remember that real beauty emanates from deep within. Carin Enovijas is a retired newspaper journalist who has been published extensively in various California and Hawaii-based periodicals and lifestyle magazines. She is currently working on a book about her life with lupus. She is very grateful to call the island of Maui home, where she lives with her husband and their two children, and a red-eared slider named Tyrone. 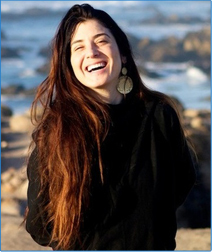 Jennifer Pastiloff is the founder of The Manifest-Station. Her work has been featured on The Rumpus, The Nervous Breakdown, Jezebel, Salon, and more. 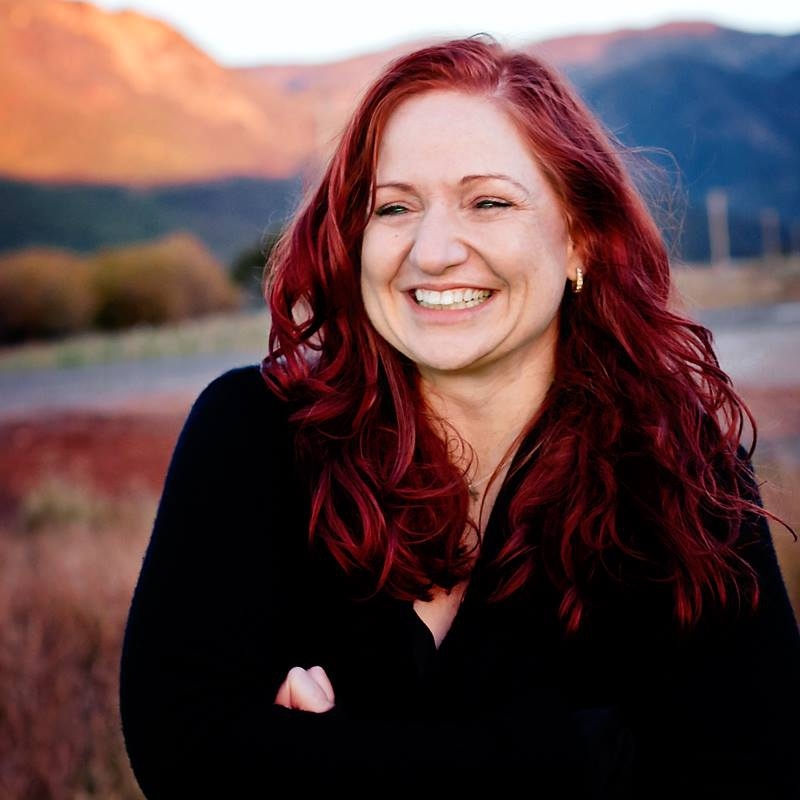 Jen leads her signature Manifestation Retreats & Workshops all over the world. The next retreat is to Ojai, Calif over Labor Day followed by New Years. Check out jenniferpastiloff.com for all retreat listings and workshops to attend one in a city near you. Next up: Seattle, Atlanta, South Dakota, NYC, Dallas, Miami, Tucson & The Berkshires (guest speaker Canyon Ranch.) She tweets/instagrams at @jenpastiloff. Next Manifestation workshops: Seattle July 26/27. Thank you, Barbara Potter. And thank you Jennifer for helping to spread awareness of autoimmune diseases like lupus and so many others. Can’t imagine what you must be going through. Beautiful writing though. Sending you lots of love and light, Zareen. Your writing gave me a taste of what it might be like to have lupus and be on prednisone. I think our society is so obsessed with looks and also avoiding hard situations (oh, ‘you have a debilitating illness that makes you feel awful, I don’t know how to deal with That, so I’m just going to say ‘you look great’). Yesterday I wrote a blog post stating very similar things as this one. I too had to rant about the effects of prednisone on my body and how I hated that it was turning my invisible disease visible. I just stumbled upon your blog and read this and could obviously relate. Don’t forget that no matter what prednisone does to you it won’t take away your talents as a writer and all of the important work you do! Thanks for giving me an inspirational read when I needed it! The Converse-Station: Elizabeth Crane interviews Megan Stielstra. Video: Are You Willing To Surrender When Necessary?